Royal Tailor is amazing all around. The whole band is full of great personalities and they’re all fun guys! I’ve had the privilege of meeting the band at a summer camp I go to every year called Camp Electric. They’re all so kind, and very humble! Tauren Wells’ voice is quite unique, and a lot of people look at him almost as a saved Michael Jackson. His voice has that kind of style, and he has shown off his funky dance moves in past music videos. He’s great at what he does! Royal Tailor came out with a self-titled album towards the end of last year, and I’m able to put a review up for it now, which is very exciting! The first song, “We Got That Fire,” is that “roll-your-windows-down-and-jam-out” kind of song. You’ll have it stuck in your head for days, and you’ll tell everyone about how great it is. I promise. I love this first one very much, but all the tracks on this album have me up on my feet dancing! “Jesus Love” has to be my favorite, because when I first heard it I was rocking out and then I heard TobyMac on this piece and I freaked out! I didn’t notice he was featured on here but it made my day to see that he was. Maybe I’m a bit biased since TobyMac has always been my favorite, though! “Remain” is a song I fell in love with the moment I heard it. The message is completely true, and it accurately described the season of life I was in when it came out. It’s a great song for all ages, but I love the message it brought for me and that it brings for teenagers. We struggle a lot with losing friends and it’s a good reminder that God is always there, even if our best friend isn’t. It’s not only fun to sing, but it’s also fun to play along to on guitar as well! “Original” was a song that I didn’t know if I liked at first. I had to listen to it a few times, but now it’s one of my favorite songs! Manwell Reyes, from Group 1 Crew, helped write this song. He is one of my favorite artists, so it’s fun to hear it and know two of my favorite bands worked on it! This album includes low-key songs, love songs, pop songs, and that style only Royal Tailor can provide. Even on the slower songs, there’s a beat that will have you dancing! Royal Tailor have come so far so quick, and watching their music grow from the beginning, I know that they have a unique style and a very bright future! All in all, Royal Tailor’s new album is a favorite among fans everywhere, and these new songs are so much fun! This band is full of great people who are destined to get to new heights. I love Royal Tailor, and I can’t wait to see them again this summer. They are wonderful! This album is a must buy! 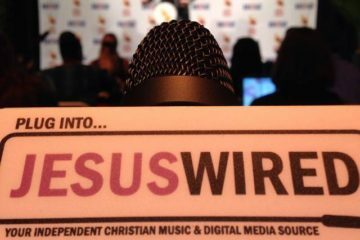 Maddy Agers is a contributor for JesusWired.com through her teenage column "Through Maddy's Eyes." She's a singer-songwriter passionate about making Christian music that relates to people while showing Jesus to them. She dreams of being in the music industry one day (and is a complete music nerd.) Her goal in writing is to glorify God while giving people a glimpse into the way she sees life.